The Anambra State Governor Willie Obiano has said that he will not leave his party the All Progressives Grand Alliance (APGA) for the ruling All Progressives Congres (APC). He made this known while addressing journalists when he paid a thank you visit to President Muhammadu Buhari at the State House, Abuja. He also mentioned that he was not worried about the exit of Odumegu Ojukwu’s son from his party, the All Progressives Grand Alliance (APGA). The governor said rather than focussing on such issues, he was more interested in delivering on his campaign promises. 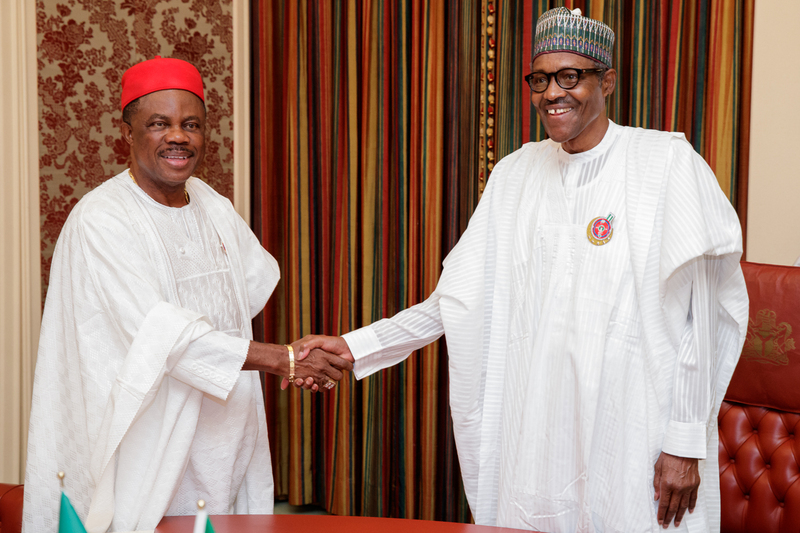 He, however, thanked the president for allowing a free and fair election during the Anambra governorship election. Obiano who won by a landslide victory promised to work in order to justify the confidence of the people of Anambra.